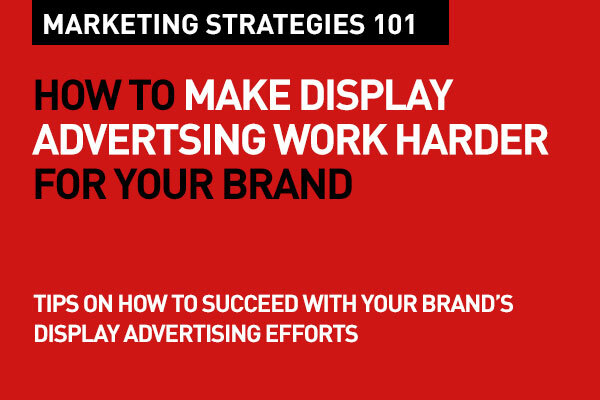 It's not difficult to make display advertising campaigns work hard for your brand. Follow these simple tips to succeed by reaching the right audiences with the right message at the right time with relevant and compelling display ads. With so much talk about "banner blindness", some brands have started to lose interest in display advertising. When done right creatively, and using the right targeting and placement, display ads are still very relevant. Wall Street Journal reports that the market for display ads is projected to double in the next five years, thanks to new innovations that are taking place in display advertising. Start with customer insights. That's your first step (see post link at bottom of page). These insights are both market related and from tracking your website and app conversions. Although it is important to keep all touch points that lead to conversion, keep your display and search campaigns separate. They reach your audiences in different need states and contexts. Once you have insights from your website traffic, re-engage past visitors with remarketing. People visit a website around 6 times in a typical purchase journey. Re-engaging them when they are most likely to convert is key. Also, expand your target base by using effective keyword targeting and audiences that are already in-market. Programmatic (see link below) can help automate your targeting and optimize your campaigns. With target audience insights, and measuring click-thru rates to your site, you can further "hypertarget" your audience according to specifics like age or gender. There are several new ways for marketers to use innovative mobile technology to create hyper-targeted local campaigns that appear on relevant consumers' smartphones. Design of your display ad campaign material is also important. Design unique ads so they complement the look and feel of the site you’re targeting. Ensure that you have each ad creative in every possible ad size in each ad group to achieve the widest reach. Don't forget the absolute importance of a strong Call to Action. Ensuring your call-to-action is short and precise, and that it includes an actionable verb, is a sure shot to conversions. One other key factor is how the promise works with the delivery. Most display ads today highlight a specific offer, but when you click through, they lead you to a landing page that has nothing to do with the original offer. Not only does this result in confusion, but it can also be a missed opportunity for your brand. And it leaves a pretty negative impression. Like you would vary text ad copy, try out different Calls to Action (CTAs), new offers or promotions or even price points, new colour schemes, and new images. Make sure you only change one thing at a time so you can see what provided the effect. 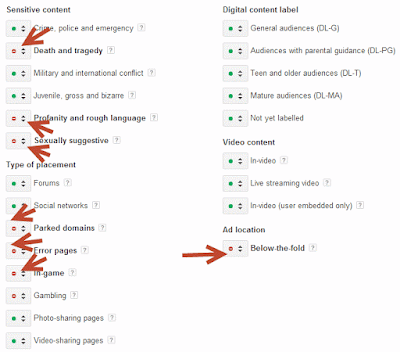 Make sure you exclude inappropriate categories from your campaigns to block your ads from showing on content you do not want your brand related with. Keep mobile in mind. Think mobile first. Keep mobile in mind for every ad in your campaign. You can even have a part of your campaign to appear in mobile apps if that is appropriate for your brand and campaign. Mobile offers limited real estate, so your creative should keep that in mind. 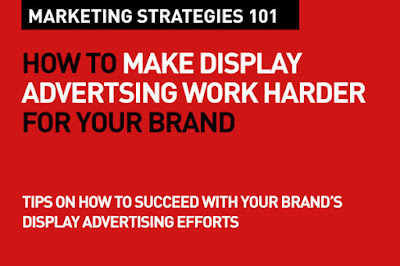 Display ads can be a compelling part of your overall campaign. Getting the basics right is key. That's part of your Digital Marketing Strategies 101.